Crushed stone might be one of those landscaping gems you have not heard much about. Why not? We aren’t sure, except maybe those who do know about it want to keep it a secret. 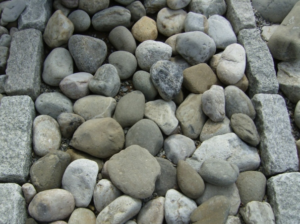 But crushed stone is an extremely versatile landscaping product. There’s a multitude of potential projects that can benefit from the addition of crushed stone. *The addition of decorative stone will highlight and accent your overall property design. >Walls are an integral part of any space; they both define the limits of a garden, and set the atmosphere for them. They can also be the finishing landscaping touch to your garden. Stone walls in particular lend many good qualities to gardens. We can start with their basics to see why your landscape could benefit from these. A retaining wall is a superb way of sprucing up any area of your yard or property without breaking the bank. It also comes in handy if you are attempting to level an area or set up an enclosure for a lovely flower garden or a piece of landscaping.